Storytelling marketing is the best way to get your brand message out in a noisy and crowded sea of competitors. Especially today, where everyone has something to say and offer, but not everyone wants to listen or pay attention. Brands can now communicate with their audience through social media platforms, email, TV placements, radio ads, direct mail, etc. by providing content such as photos, videos, blogs, vlogs, podcasts, and much more. However, with all these changes, customers still listen and pay attention to stories - we all love great stories! A story is a very simple tool that can capture the attention of your customers. When you use it in your marketing, it can be transformative! Telling a story is very important for your business. I've mentioned the awesome benefits of business storytelling in a previous article. I'd recommend reading that one too. In this article, I will show you how to effectively use storytelling in marketing your brand, products, or services through a framework created by StoryBrand. To put it in a clearer perspective, I will use the popular book, turned movie "The Hunger Games" to lay out the StoryBrand Framework. Every story has a character. In the movie "The Hunger Games," Katniss Everdeen is the main character. Your customer should always be the main character (or hero) of the story. Many companies try to position themselves as the hero, this is a big mistake! What do my customers need and want from my products or services? Answering this question will help you clearly communicate how you can help your customers get what they want most. Every character in every story faces a problem, and there is always a villain. For the purpose of storytelling marketing, the villain is the root cause of your customers' problems. In the case of The Hunger Games, the villain was President Coriolanus Snow. External - often a physical, tangible problem the character must overcome. Internal - is how the external problem or villain in the story is making the character feel. In the movie "The Hunger Games," the obvious problem is for Katniss to stay alive by surviving the Hunger Games. However, there are 2 other levels of the problem that she needs and wants to resolve at the end of the story. Philosophical: A tyrannical government is just plain wrong. Your story must clearly define all 3 of the character's problems and the villain in the story. What is a problem my customers face as it relates to my products or services? What external problem is the villain causing? How is the villain or external problem making my customers feel? Why is it "just plain wrong" for my customers to be stuck with this problem? When the main character meets a problem, he or she doesn't need another character to resolve it. There can only be one hero of the story, and that's the main character. What the hero needs is to meet someone who will serve as a guide for them. Someone who has already been through the problem they are currently experiencing. In the movie "The Hunger Games," Katniss meets her guide, Haymitch. Haymitch has already won the Hunger games and knows how to survive the game. He knows the ins and outs to make it out alive. Your customers don't know how to resolve their problems as it relates to your business. They don't know how to fix their issues. When current and existing customers come knocking on your door and say "Hey! I need your help! ", just remember your customers want a guide, not a hero. The word "help" doesn't necessarily mean "Fix it for me." It means, "Guide me" to put an end to this problem. The guide in a story is the strongest character, so this is an excellent role for your company to play in the story you are inviting customers in to. But how do you position yourself as the guide? There are two essential elements you must use to establish your company as the guide. You establish empathy by using statements like "we understand" or "we know what it's like" in your messaging. For example, most of our clients feel overwhelmed and stuck in marketing their business. To establish empathy we could say "we know what it's like to feel overwhelmed with marketing your business." You establish authority with testimonials, certifications, accreditations, case studies, etc. If your customers are large, well know companies you might even use customer logos to establish authority. Now that you know the character, the problem, and the guide of the story you are inviting your customer into it's time to talk about the plan. In the movie "The Hunger Games," the gameplan is for Katniss to gain public support to get sponsors. Sponsorship will help her stay alive as long as she needs until the end of the game. As the guide in the story, you are the one providing the plan. There are two types of plans you will use in the storytelling for your marketing. The process plan is 3 or 4 steps your customers take in doing business with you or in using your products. Keep it simple and to the point! The purpose of your process plan is to eliminate confusion. An agreement plan consists of 3 or 4 agreements you make with the customer to alleviate their fears in doing business with you. Are there common problems customers run into when dealing with your industry? These should be in your agreement plan. Step 1: Schedule an appointment. Step 2: Fix the issue. Step 3: Move on with your life. We'll be on time, every time. You'll get a fair, competitive rate. Our work is guaranteed or we'll fix it for free. Having a simple and easy to understand plan will make customers feel comfortable in doing business with you. Customers love brands who have a plan. This is the exciting part of a story - the action. The character is encouraged to take action. In the movie "The Hunger Games," Katniss finally competes. Your business needs two types of calls to action. Most people will not take action unless they are asked to do so. For those people who are ready to buy, you must have a direct call to action. Don't confuse customers about what you want them to do. If you want people to buy your book, say "BUY NOW." If you want customers to place an online order for a fancy dress, say "ORDER NOW." 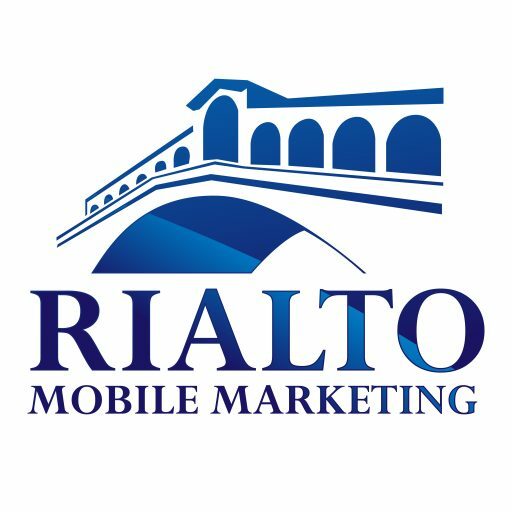 Make your call-to-action visible on your website, email, mobile app, direct mail, etc. Always consider the font, size, color, and position of your CTA anywhere you want to use them. A strong call-to-action is very effective in making customers act, so learn how to create them properly. A transitional call to action is for those folks who aren't quite ready to buy, but they might be down the road. You don't want to lose those potential customers, do you? I didn't think so. Transitional calls to action usually take the form of an ebook, cheat sheet, checklist, or white paper. It should be something of value a potential customer will want in exchange for their contact information. Now that you have their contact information, it's your job to nurture them and keep in touch until they're ready to buy. Make sense? The character in a story is always forced to act because of what's at stake when there's no action. In the movie "The Hunger Games," Katniss is compelled to volunteer to save her life, her sister Prim, and her district. In your story, you need to highlight the negative consequences your customers will experience if they choose not to work with you. You need to treat this like salt in a recipe. Use failure in your messaging, but not too much of it. When customers realize the consequences of not taking action, they'll be encouraged to take the next step. No one wants a tragic ending! At the end of every story, the main character succeeds by avoiding failure. The hero overcomes his or her problems by following the plan that the guide gave them. The successful ending in "The Hunger Games," is that Katniss lives and District 12 remains. Now it's time for you to highlight the positive changes your customers will experience as a result of working with your company. Focus on identifying the top 3 or 4 benefits you provide customers. I've outlined an entire 7 step storytelling framework you can use in your marketing. All you need to do now is answer the questions I mentioned at each of the 7 steps. Armed with that information, you can use this content to create marketing messaging for your company. Use it everywhere - your website, social media, direct mail, and any other marketing channel you use. And that's how to use storytelling marketing effectively. Follow the StoryBrand Framework to convey a clear message to your customers. Remember that a clear marketing message is the foundation for your success. If you think telling a story in marketing is a challenging task, don't hesitate to reach out. Are you ready to start building your story? We'd love to hear from you, so feel free to comment below and SHARE this article with folks who can benefit from the information.